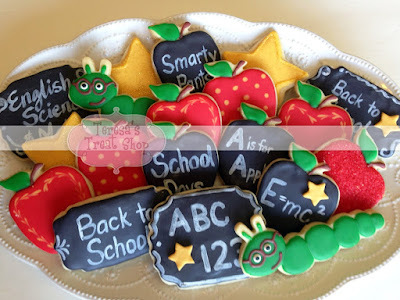 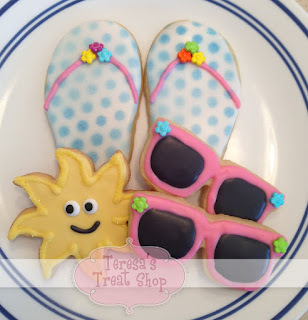 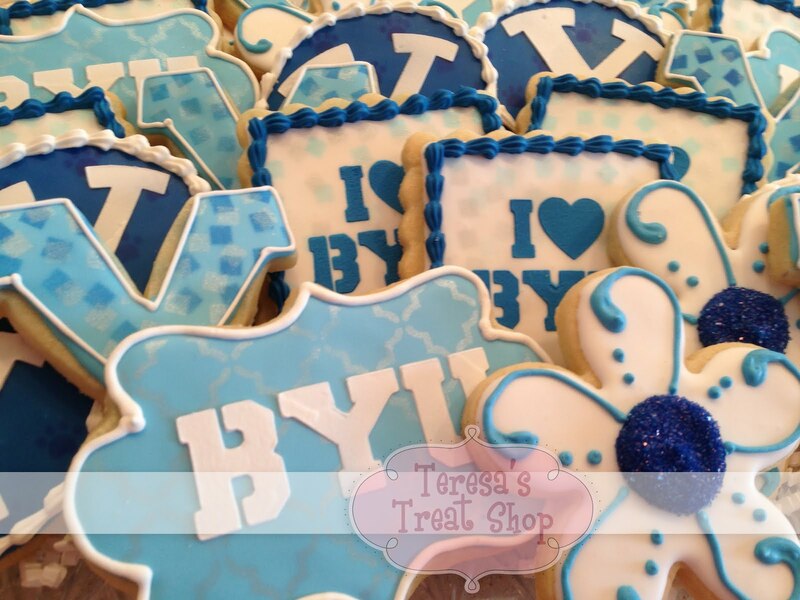 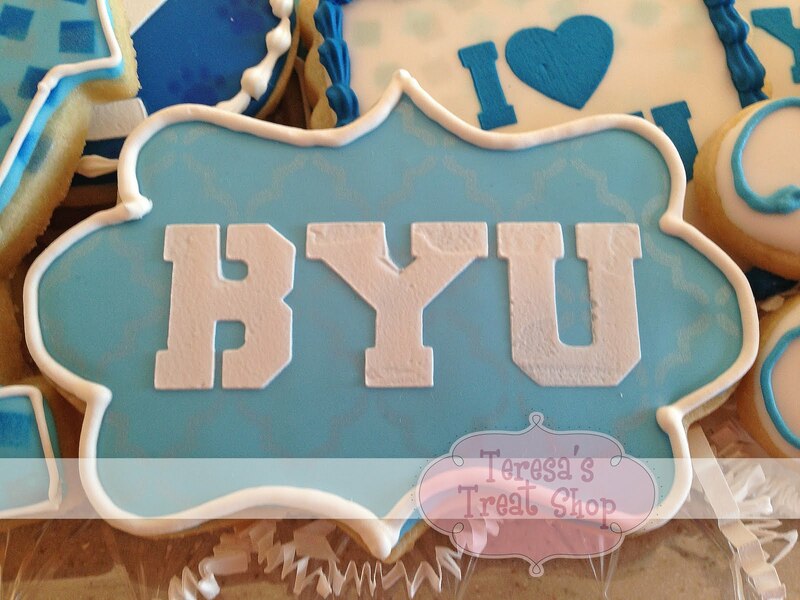 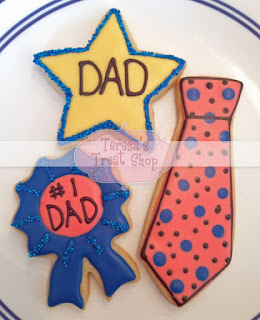 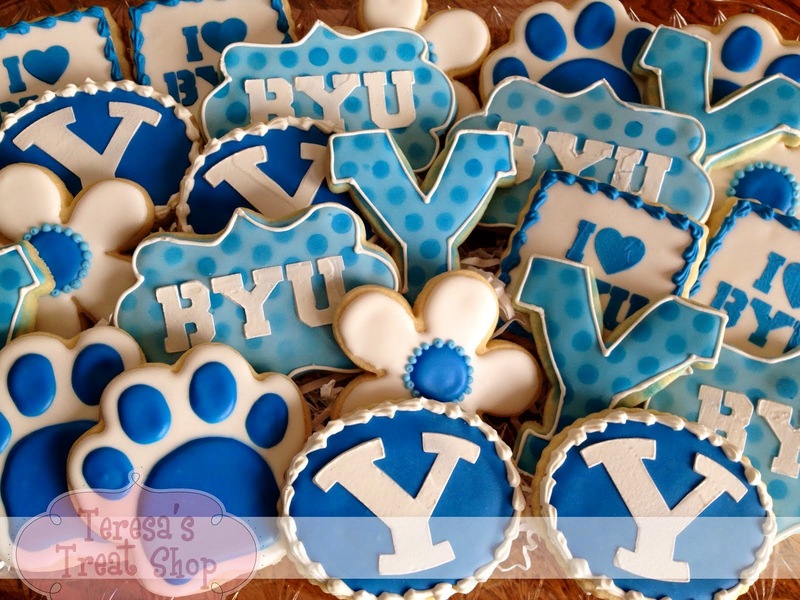 There are so many great cookie designs with a back to school theme. 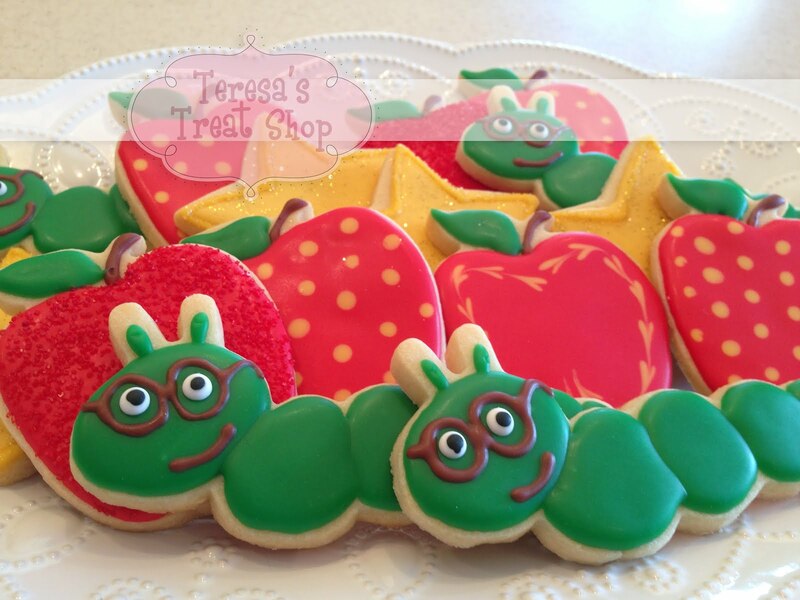 This year, I choose to go with a clever little bookworm, a shiny gold star, and some fancy red apples. Then I added some chalkboard cookies and painted on the the chalk writings. 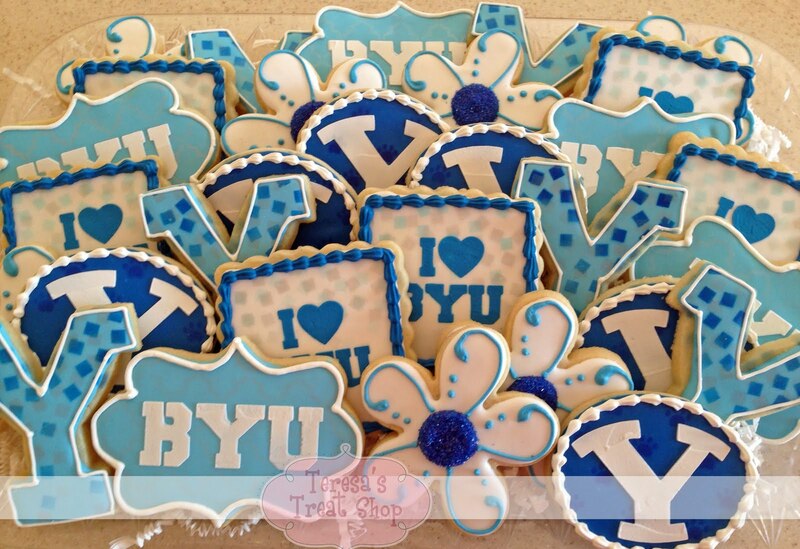 This is one of my favorite sets and I think they made some kids really happy! 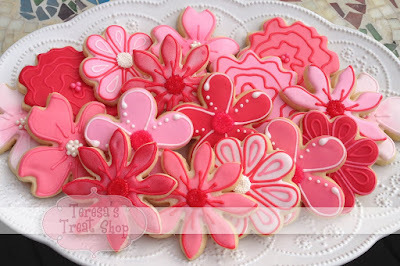 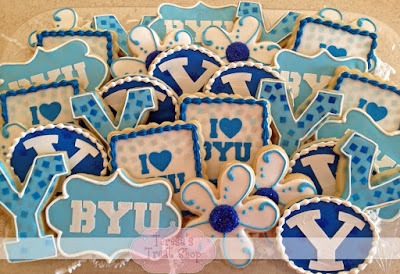 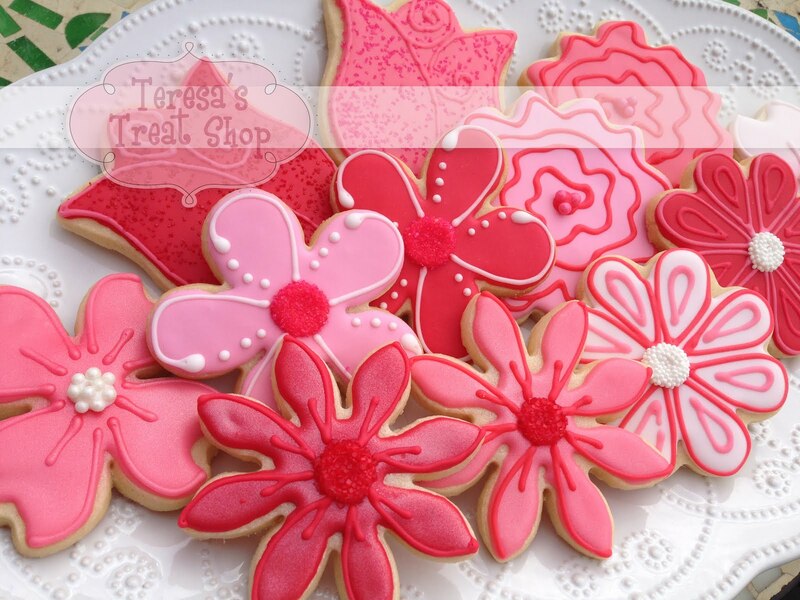 Private cookie decorating parties are fun for work groups or birthdays or just a friends night out. 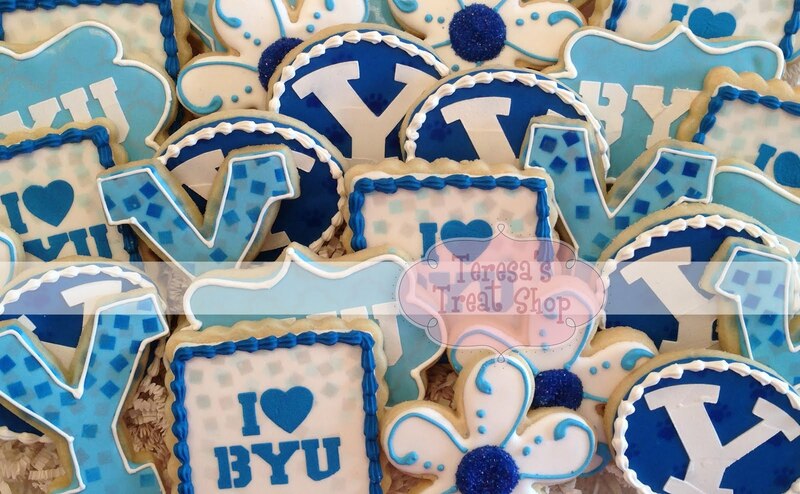 We did this set a couple times this summer for some great groups. So here's my favorite BYU set with a few slight changes. 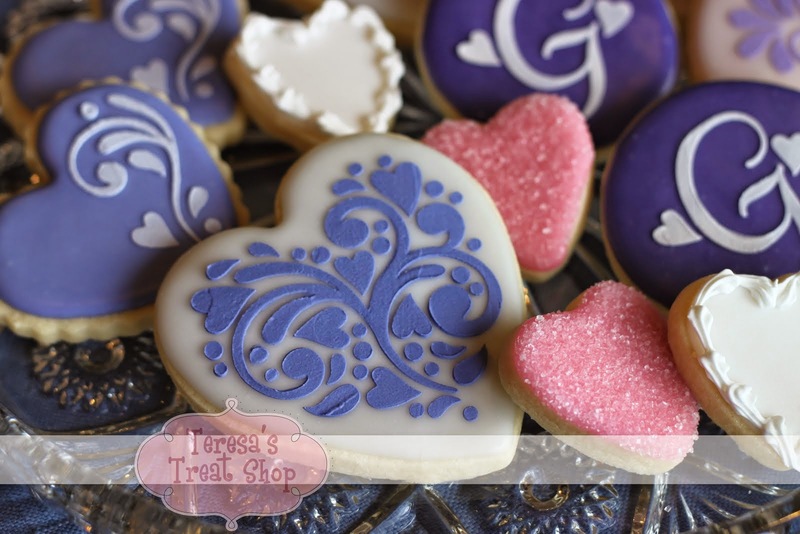 I have a new confetti stencil (which I LOVE) that was perfect in blue and silver. 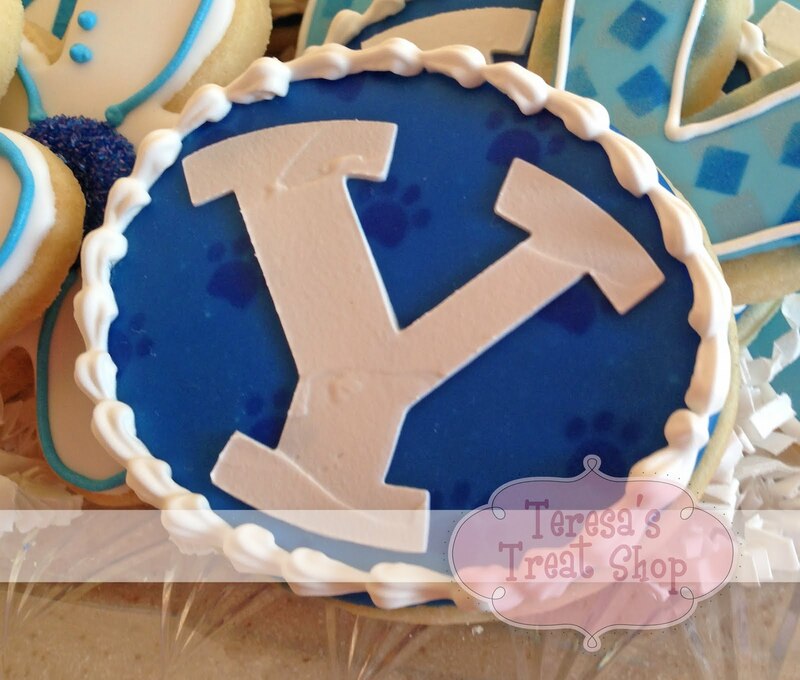 The oval Y logos are also stenciled with a tiny paw print background. Makes them even more adorable! 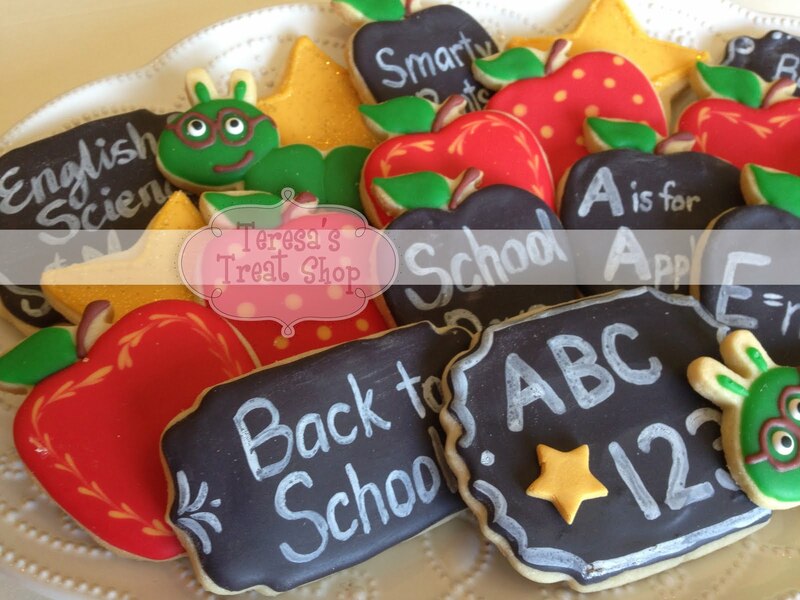 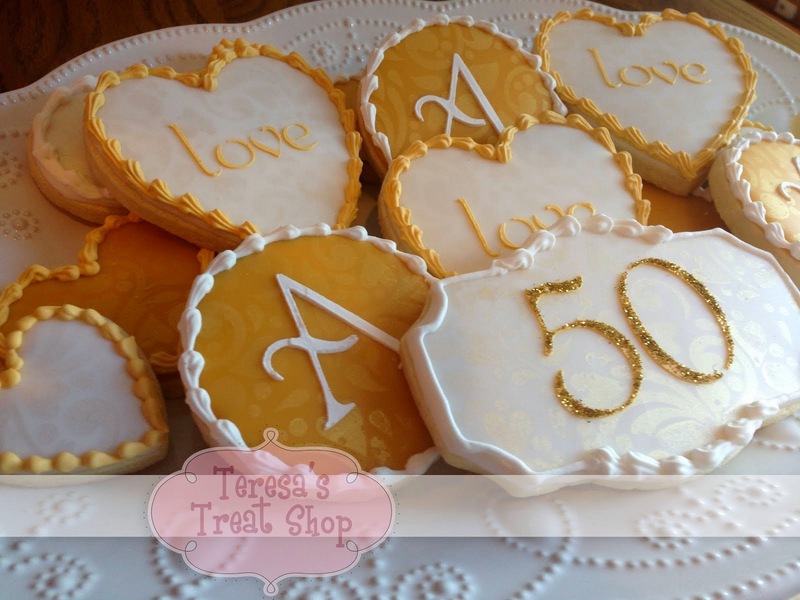 I did this order for a party to celebrate a preschool teacher's 20 years of teaching. They requested pink and red flowers so I got to pull out a variety of flower shape cutters. 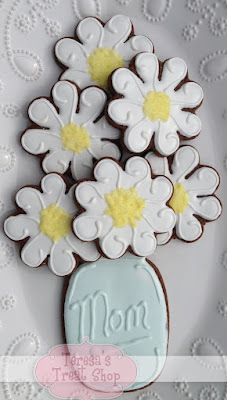 It was fun to add all the details to each flower and then I sprayed them with some simmer to give them a little shine. These were some options for Mother's Day sets this year. 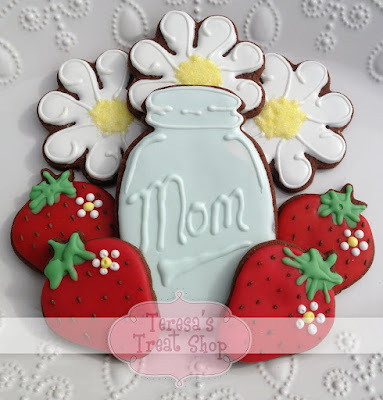 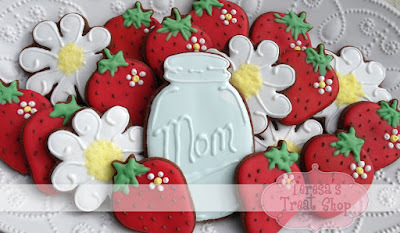 The berries and daisies are so cute together!